After being cut out of Cameron Crowe’s Roadies when her character got re-conceived, Christina Hendricks is returning to her comfort zone: A drama show set in the past. As reported by TVLine, Hendricks has signed on to appear in Sundance’s ‘80s-set drama Hap And Leonard. The series—which is based on Joe Lansdale’s novels—will follow Hap (played by James Purefoy from The Following) and Leonard (Michael Kenneth Williams) as they deal with some kind of proposition from Hap’s ex-wife that they “can’t refuse.” Hendricks will play Trudy, the ex-wife who proposes whatever the proposition is. Obviously, we could look up what it is pretty easily, but leaving it as a mystery is more fun. 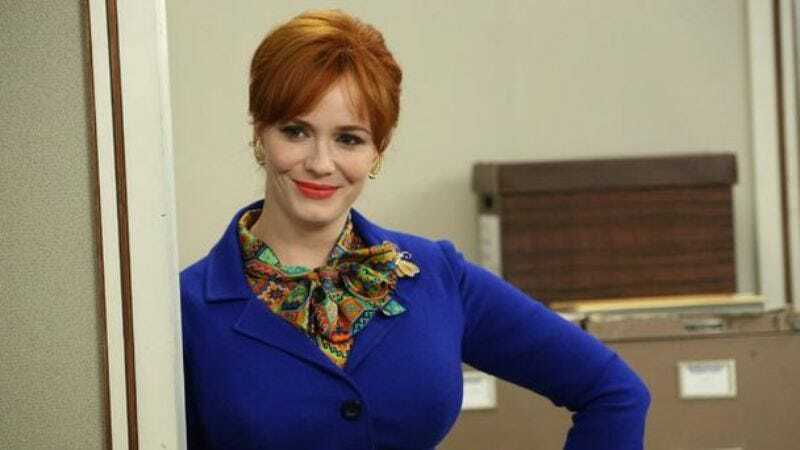 Hendricks, of course, played Joan on Mad Men—which was a period drama—for seven seasons, and she appears on Comedy Central’s Another Period—which is a parody of period dramas. She was also on Firefly, but that was in the future, so we don’t know if it counts. We’re not sure what Hendricks has against things that are set in the present, but we’d like to apologize for whatever it is on behalf of all the people who live in 2105.